The Brewers sent out the following tweet this morning, which worried fans. The injury — a partial tear of his right hamstring tendon near the top of the muscle — flared up when Lucroy began running drills about two weeks ago. Apparently the area bothered Lucroy as early as August of last year, but the Brewer backstop played through the discomfort. The strain is classified as “mild” and both the Brewers medical staff and Lucroy himself feel that the All-Star will be just fine for Opening Day on April 6. Brewers COO Rick Schlesinger met with the media during “Truck Day” at Miller Park and said that 4-6 weeks is a range and that there’s a good chance that someone as dedicated and diligent as Lucroy could come in on the short side of the same. Schlesinger said that the club won’t rush one of it’s most important players back before he’s healthy. He also chuckled and said that the biggest thing might be slowing Lucroy down so that the catcher doesn’t go too hard too quickly and suffer a setback. It was revealed to the media that, to aid in his recovery, Lucroy received a PRP injection as well. The silver lining, according to Gord Ash who met with the media about Lucroy’s injury earlier on Wednesday, is that he won’t be completely shut down from Spring Training activities. He can still field, throw, catch, and do anything that won’t stress the injured tendon. Running is out for the time being and I can’t imagine squatting behind home plate at all is a good thing for him at this point. From an overall team preparation standpoint, Lucroy missing this time behind the dish won’t be too large of a negative. He’s worked with all the starting pitchers in the past and unless the team does acquire Jonathan Papelbon from the Philadelphia Phillies, there are only a handful of new relief pitchers (Cotts, Knebel, Pérez) to get to know. That can be done with side work or even late in camp as there’s more work to go around for the big league guys. As for Lucroy’s scheduled defensive work at first base, it sounds like he might be slowed, but he won’t be stopped. If he is to get some starts over there against left-handed pitching, he’ll want to get better quickly. Colorado, the Brewers season-opening opponent, could potentially start southpaws in two of the three games of the opening series at Miller Park. 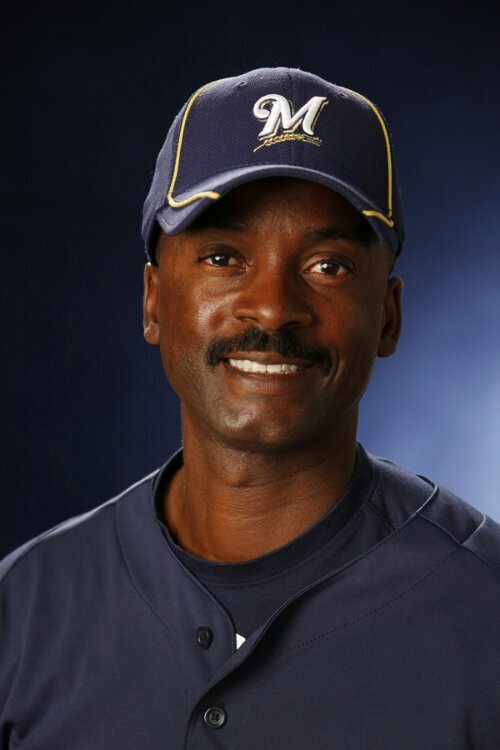 The Milwaukee Brewers announced today that Darnell Coles has been named manager at Triple-A Nashville. He fills the managerial role vacated by Mike Guerrero, who was promoted to the Brewers’ Major League coaching staff on September 28. Coles joined the organization in 2010 and spent his first two seasons as minor-league hitting coordinator (2010-11). He spent the past two seasons as manager at Double-A Huntsville (2012-13). Prior to joining the Brewers, Coles spent four seasons in the Washington Nationals organization, including two seasons as manager with Class-A Vermont (2007) and Class-A Hagerstown (2008). He served as Washington’s roving hitting instructor in 2006 and as hitting coach at Triple-A Syracuse in 2009. The former utility player had a 14-year Major League career with Seattle (1983-85, 1988-90), Detroit (1986-87, 1990), Pittsburgh (1988), San Francisco (1991), Cincinnati (1992), Toronto (1993-94), St. Louis (1995) and Colorado (1997). He was a member of the 1993 World Series champion Blue Jays. Selected by Seattle in the first round of the 1980 draft, Coles went on to become one of only 14 players, including Babe Ruth, to hit three home runs in a single game in both the American League and National League. He also worked as an ESPN baseball analyst from 2001-06. The remainder of Nashville’s coaching and training staff will return for the 2014 season. They include: Pitching Coach Fred Dabney (third season), Coach Bob Skube (second season), Athletic Trainer Aaron Hoback (second season) and Strength and Conditioning Specialist Andrew Emmick (fifth season). This column will first be publicized automatically via my 30,000th tweet on Twitter. Even though I had begun compiling this information a couple of weeks ago, I was going to wait until closer to the regular season to post these numbers. This was in an effort to not waste time or column space on players who ended up not being with the Brewers come the start of Spring Training. But with the aforementioned milestone tweet bearing down on me, I felt it appropriate to make this post coincide. I will keep this space updated* throughout the season with current 2013 totals as the players listed work toward the attainable milestones. Should a player achieve a milestone, I will list it and the date it was achieved and (if appropriate) list the next milestone on the statistical path which the player could achieve. So bookmark this one folks and refer back to it as often as necessary throughout 2013. This information will appear on the individuals’ “Brewers By the Jersey Numbers” previews as well. Without further adieu, here are the major players on the Brewers who have milestones in front of them which should be attainable in the 2013 regular season. Perennial all-star Ryan Braun achieved his first two milestones of the season on Friday, April 19th against the Chicago Cubs. He collected the 2000th base of his career on a first inning home run. The three RBI from that homer also moved him into a sixth-place tie on the all-time list with former Brewer Prince Fielder. So far this season, Rickie Weeks has surpassed Greg Vaughn for 12th place in total bases in Brewers history. Next up on the list is Gorman Thomas. Weeks has also tied Ben Oglivie for 6th place on the all-time franchise list for Walks with 432. Weeks collected the 1500th total base in his MLB career with a double on Friday, April 19th against the Cubs at Miller Park. Aoki began the season tied for 41st place in stolen bases with Craig Counsell, but has surpassed Geoff Jenkins, Rob Deer and Dante Bichette in the team’s all-time rankings, and is currently tied in 35th place with Pedro Garcia and John Jaha. Next up, Sixto Lezcano who has 34 steals as a Brewer. Martin Maldonado collected the 100th base of his career on Monday, April 8th with a 5th inning single off of Edwin Jackson. Gomez drove in the 200th run of his career on Sunday, April 7th. A solo home run on April 19th moved Gomez into a four-way tie at 48th all time in Brewers history. With his first appearance this season, Gallardo tied Dave Bush for appearances as a Brewer. With his third, Gallardo tied Dan Kolb at 154 games with Milwaukee. Up next, is Scott Karl at 155 games. John Axford’s first three strikeouts in 2013 pushed him ahead of Pete Vukovich on the all-time list in Brewers history. Axford has since broken a three-way tie in 36th place with Bob Wickman and Shaun Marcum. In 35th place is Bill Parsons with 280 K.
Axford’s eight games played in 2013 have now moved him all the way up to 18th on the all-time Brewers list of games played. This year he has broken his tie with Ray King (206), and surpassed both Chris Bosio (212) and Teddy Higuera (213). In his first start of the season, Estrada struck out eight hitters. Those sent him flying past Mike Fetters and then Chuck Crim into a tie at 41st on the Brewers’ all-time list with Lary Sorensen. With his next 13 strikeouts over two starts, Estrada overtook Ben McDonald (256) and sits one shy of Pete Vukovich in 39th place. Estrada’s four strikeouts on April 19th against the Cubs moved him ahead of Vukovich in 39th place, and past the tied Shaun Marcum and Bob Wickman, into sole possession of 37th place on the all-time list. Estrada picked up his 10th career Win on Monday, April 8th against the Chicago Cubs. Gorzelanny appeared in his 200th MLB game on Sunday, April 14th. Okay then. Is there anybody else you’d like to know more about? Leave their name in the comments! * – If a milestone is achieved on a given day I’ll update ASAP but if not then I can’t guarantee updating every day. We’re just over two weeks away from Opening Day. Despite being a first-year Milwaukee Brewer, today’s subject is well-known to Brewers fans already by virtue of having spent his entire career in the National League Central. The 33-year-old’s career began with the Pittsburgh Pirates the same year that the Brewers made the move to the senior circuit from the American League. That was 1998, of course. Coming to Milwaukee from Pittsburgh by way of Chicago for parts of nine seasons, Aramis Nin Ramirez was brought in to do two things. Both of those things are offense-related. Before we get into that, I wanted to relate a quick story. So many of these players are simply assigned a number when they’re first called up to the big leagues. They become a part of their identity, but they aren’t always their own choosing. 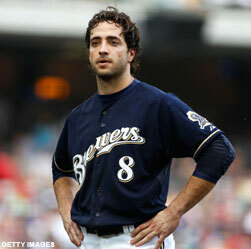 When he came to Milwaukee the number he had worn his entire career (#16) was owned by backup catcher George Kottaras. Former all-stars usually get what they want when pitted against a backup catcher, but this wasn’t a simple exchange of something for a number. Ramirez wanted to wear 16 not simply because he always had. Instead, Ramirez first wore 16 when he joined the Pittsburgh Pirates at the behest of his father. Mr. Ramirez never told his son why he wanted him to wear the number, and unfortunately passed away a few years ago. But the ballplayer honored his father’s request and continues to do so to this day. That’s a pretty cool reason to prefer a number. Kudos to Mr. Kottaras for not standing in the way of Mr. Ramirez or his son. Anyway, it’s no secret that Ramirez is an average-on-his-best-days defender at this stage of his career. He doesn’t have great range, even for the hot corner, and his while his throwing arm is still plenty strong enough, his throwing accuracy is at times found to be wanting. Despite popular belief to the contrary, the starting third baseman last year wasn’t bad defensively. Casey McGehee had solid footwork, accuracy and got to his share of balls. Ramirez should handle the routine play fine, but it is likely that there will be plays this year which Ramirez won’t make that Brewers fans will be wondering “why not?” because last year they’d have been converted into outs. And defensively, the most important thing you can do is to convert outs into outs. That brings us back to the plate which is where Ramirez will look to earn the $36 million guaranteed over the life of the contract which he signed with Milwaukee this past December. Ramirez is a notoriously slow starter at the plate, and he contributes a good portion of that to the weather he dealt with while playing his home games outside in the usually cold Aprils at Wrigley Field these last several years. Hopefully the climate controlled environment of Miller Park will help to alleviate some of that and Ramirez will start off like he tends to finish seasons. Regardless of his start, he stands to finish much better than Brewers third basemen did at the plate last year. Now, for the record, I fully believe that 2012 McGehee will also outperform 2011 McGehee, but I don’t think he’ll reach the numbers Ramirez has averaged over the course of this career. But that’s how Ramirez compares to third base. McGehee batted fifth or lower in the lineup for manager Ron Roenicke last year. I mention that because the other thing Ramirez was brought here to do was to fill the cleanup spot in the lineup vacated by the departed Prince Fielder. There are many analytical types who will tell you that lineup protection is a myth and that there is absolutely nothing that has been able to quantify the effect one player hitting behind another has on that first player. Much the same, there are many baseball people who continually bring it up as a matter of fact. Regardless to which side of that fence you’re on, it can be argued that a superstar player finds himself pitched around in certain situations when there isn’t somebody behind him that can make the opposing team pay for that tactic. Let me put it this way, when Roenicke, principal owner Mark Attanasio and general manager Doug Melvin met this off-season to discuss Roenicke’s wants, several positions were presented as needs by Melvin. He didn’t know which position on the diamond that would necessarily come from at that point, but Roenicke was clear in his desire for someone to bat in the lineup behind Ryan Braun. There’s something to that. I offer now a profile that was written by my Brewer Nation Podcast co-host, Cary Kostka. This was originally posted at his Sport Profiles blog: http://sportprofiles.wordpress.com. Aramis Ramirez, born on June 25th, 1978 in Santo Domingo, Dominican Republic, signed with the Pittsburgh Pirates on November 7, 1994 and made his major league debut on May 26th, 1998 with the Pirates. He was traded to the Chicago Cubs (with Kenny Lofton) on July 23rd, 2003, where he remained until he opted out of his contract with the Cubs and signed a three year, $36 million deal with the Milwaukee Brewers in December 2011. Ramirez played in his first full season in 2001, finishing with a .300 BAV, 34 HR, 112 RBI. Over his major league career (6 years with the Pirates, 9 years with the Cubs) Ramirez has averaged .284-30-108. Ramirez was an All-Star in 2005 and 2008 and won the N.L. 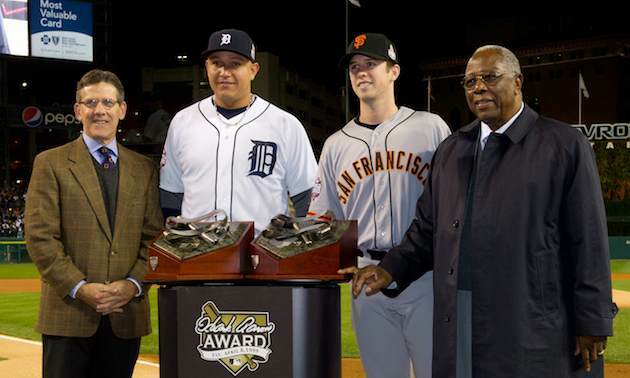 Silver Slugger award at third base in 2011. He has only once finished in the top 10 for MVP voting (2004) despite have 6-100 RBI seasons, 4-30 home run seasons, and 9-20 home run seasons. 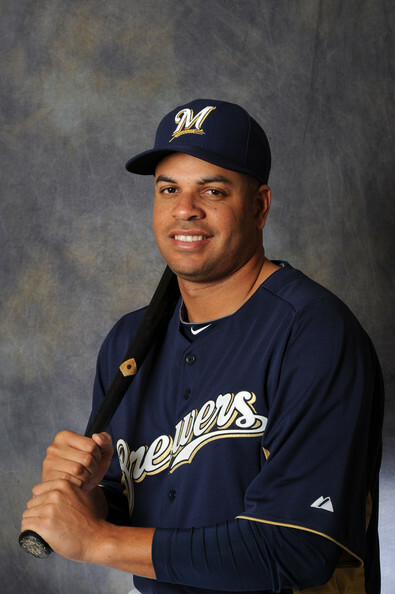 Although healthy for most of his career, Ramirez missed a large portion of the 2009 due to a dislocated shoulder suffered against his current team (Brewers) on May 8th. He has also suffered a number of calf and hamstring injuries that has led to him only being able to play 140 games twice since 2006, and only once (2011) since 2008. Ramirez had a TPR (total player rating) of 77.2 in the hitting department during the 2011 campaign. As the numbers above show, he can flat out rake when at the plate. Ramirez’s’ batting stance allows him to generate power by moving his back hip into the pitch. When he swings, his hips rotate ahead of his hands to give strength to his core muscles, increasing bat speed. The back shoulder rotates with the back leg and hips which increases the leverage of his swing. He is able to keep his swing short by keeping his front knee bent forward when his back toes comes down, then straightening the front knee as he moves closer to the contact point of the bat with the incoming pitch. This has the added effect of increased bat control, allowing him to easily adjust in mid swing. Ramirez’s running TPR comes in at -12.2. He has below average speed and is not a base stealing or base running threat when he is out there. He is not very aggressive on the base paths, which while minimizing base running mistakes has drawn some frustration of both the organizations he has played for and the hometown fans when he fails to take an easy extra base. Defense is definitely Ramirez’s weak point, checking in with a fielding TPR of -35.2. As his career has progressed the number of mental mistakes he makes on the field have come down to almost zero which has improved his defense overall, according to the SABR zone rating. His biggest asset on the field is his arm; it is both strong and accurate. He has an overall lack of range and seems out of position at times. The lack of range has led to speculation that the Brewers, should Mat Gamel fail at first and Taylor Green show he is ready for third, would entertain shifting Ramirez to first. The cause for Ramirez to appear of position could be more of a coaching/managerial call than Ramirez himself. I feel this will be proven this season, as Brewers skipper Ron Roenicke loves positioning his fielders to give them better chances of being successful with the glove. Early in his career Ramirez was seen as being a lazy, immature player but has worked his way towards shedding those early career observations, becoming a more humble, but competitive player. While he is not a gym rat, he has put forth more effort in recent years as he struggled with a number of injuries since 2008. The only incident I could find was a dugout fight with Cubs teammate Carlos Silva, during a spring training game on March 2nd, 2011 after Silva started blaming his teammates for their lack of defense. As mentioned earlier, Ramirez has only once appeared in 140 games since 2008, making his recent injury history concern #1 for not only himself, but for his new team, Brewers fans, and fantasy baseball players. Most of Aramis Ramirez’s community works comes as a part of MLB-DDA (MLB Dominican Development Alliance) and USAID (United States Agency for International Development), which provides and supports for a number of programs, including “The Bank Of Hope”, “There Is Power In Learning”, Hope and Life”, and “Spaces To Grow”. Ramirez’s hitting method should allow him to remain a productive hitter into his 40’s, with an expected slow slippage of power. His defense at 3B will eventually make it necessary for him to move to first, or will send him to the A.L. as a DH. He will continue to be an above average player if he stays healthy. Bottom line for Ramirez in 2012 is that he’ll hit cleanup, man the hot corner, and hopefully drive in plenty of runs. The Brewers need his bat to perform to successfully defend their National League Central Division championship. After spending his entire 14-year career in that same division, Ramirez has only been a part of three such teams (all with Chicago in 2003, 2007, 2008) but without a World Series appearance to show for it, let alone a ring. He wants that chance and the Milwaukee Brewers would be more than happy to give it to him. It’s been a long off-season for baseball fans, made to feel somewhat longer here in the Midwest by mild temperatures that we normally don’t feel until the regular season is well underway. The Brewers made their first League Championship Series since appearing in American League’s version back in the 1980s. That means the off-season is officially shorter for Brewers fans and players, but after falling two wins shy of the National League pennant and an appearance in the World Series it’s been a painful shortened time. Acquired during the preceding off-season for top prospect Brett Lawrie, plenty was expected of Shaun Michal Marcum before he ever put on a Milwaukee Brewers jersey. After missing the entire 2009 season while a member of the Toronto Blue Jays, Marcum rebounded in 2010 and seemed healthy and effective enough in doing so. Milwaukee was in desperate need of an upgrade to its rotation after suffering for years with the likes of Jeff Suppan, Braden Looper, Dave Bush and even a stunted comeback attempt by Doug Davis. Sure, Yovani Gallardo was doing well and free-agent pickup Randy Wolf was fine enough, though overmatched by trying to be the number two, but they needed more front-end talent. The Toronto Blue Jays made Marcum available and Doug Melvin pulled the trigger on the straight-up swap. The reason for the cost was because Marcum is talented and showed himself to be healthy. This is the same guy that pitched Opening Day for the Blue Jays in 2010. It was immediately apparent that the Brewers had acquired a new number two…well, at least until the Zack Greinke deal went down. Marcum’s 2011 campaign almost didn’t start off with the team. He suffered through a bout of shoulder stiffness (the same as he’s going through right now in 2012) that nearly took him to the disabled list. He was able to get up to enough of a pitch count to be deemed ready-to-go out of the gate. With fellow import Greinke on the DL with a cracked rib, Marcum was even more necessary to start the season on the right foot. He began the year with very good results and was arguably the team’s best pitcher for the first two months of the season. Who knows how long that level of play would have kept up and what kind of season numbers he could have posted if not for a hip injury suffered during interleague play prior to a start at Fenway Park on June 17. It’s my opinion that Marcum wasn’t the same all season after that injury. Still, Marcum managed to start 33 games in 2011 (winning 13 of them), but the season caught up to him eventually. Despite all his overtures to the contrary, it was pretty apparent that something was wrong with Shaun Marcum this past October. He says he wasn’t injured, and while that must be true, he certainly wasn’t effective. Now, all players go through certain periods of worse success than “usual”. Marcum is no exception and he and his coaches claim that all the 2011 postseason struggles were a result of one of those periods of ineffectiveness. I’m no pro scout or manager or baseball coach, but my educated eye saw some things that just lended themselves to the idea that Marcum was worn down. It wasn’t like the if the season lasted another two months that Marcum was going to pull out of that funk along the way. His innings total (200.2) in just the regular season was the highest of his career. He had pitched through a couple of injuries during the regular season, not to mention the shoulder stiffness that he opened the spring with. The aforementioned hip injury was bad enough, but exactly one month late, on July 17, during a spectacular defensive play on a ball bunted to his right, Marcum bounded off the mound and spun while underhanding a throw to first base. That resulted in an official neck strain and likely an unofficial sore shoulder. All of those things added up to a pitcher being put through a lot over 33 starts. To me, all signs pointed to physical exhaustion which coupled with a resultant mental exhaustion in the playoffs leading to the results on the field which we all remember far too vividly. Much of that will fade with time, helped especially by Opening Day which of course is 18 days away from the day I’m writing this. What will really help Brewers fans get over it, though, would be a duplication of last year’s early success out of Marcum. As of this writing, that’s currently in mild jeopardy as Marcum has not yet appeared in a Cactus League game. There is still enough time to get him a handful of starts, but he needs to be to a certain pitch-count-based level of endurance before being ready to pitch in a regular season game. That notwithstanding, the path in 2012 for the 6’0”, 195 pound, 30-year-old right-hander from Kansas City, Missouri is a relatively clear one. When healthy, be that on Opening Day or shortly at a point thereafter, he’ll be in the starting rotation. He’ll look to make 30+ starts and help lead the Milwaukee Brewers on a successful defense of their National League Central Division title, complete with a return trip to the postseason. It’s just that when Marcum last takes the mound in 2012, he’ll be anticipating much different results. Let’s hope that by then, as fans, we’ll be able to anticipate a positive outcome as well instead of being haunted by the memories of opportunities squandered. Today is St. Patrick’s Day in the United States of America, but at least as important, if not more so, is the fact that today is 20 days away from Opening Day! You read that correctly. There are less than three weeks to go, Brewer Nation! Today while you’re likely out partaking in some adult beverages and/or watching the NCAA Men’s Basketball Tournament’s Round of 32, be safe. Getting hurt (or God forbid worse) simply isn’t worth missing out of Opening Day. But sometimes playing it safe can’t keep you injury free and you might miss Opening Day after all. During a normal drill during Spring Training last year, Jonathan Charles Lucroy broke the pinkie finger on his throwing hand. (Lucroy bats and throws right-handed.) It caused Lucroy to begin the year on the disabled list as Wil Nieves and George Kottaras began the season as the two catchers on the 25-man roster. Lucroy was reinstated to the active roster on April 10th and immediately worked back into the starting role. He had a nine-game hitting streak to begin the season once he got back to Milwaukee and was named the team’s Player of the Month for May. 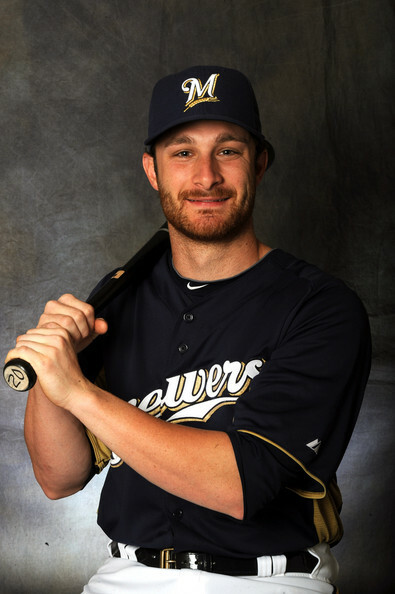 Overall for the year, Lucroy batted .265/.313/.391, in 430 at-bats over 136 games (114 starts). He scored 45 runs, drove in 59, and totaled 114 hits (16 doubles, 1 triple, 12 home runs) while striking out 99 times and only walking 29 times. More important for a catcher though is how he performs defensively. In that regard, the Brewers had a 3.63 ERA when he caught (1043.2 innings, 421 earned runs) and went 68-46 when he started. Lucroy threw out 21 of 98 runners attempting to steal, good for a 21.4% rate. What’s more is that there have been more than a couple of articles written over the winter about Lucroy’s ability to frame pitches and help get borderline strike calls for his pitchers. He was also inserted late in games which he did not start to pair up with the late-inning relievers. He is much more defensively sound than George Kottaras and those late changes helped evidence that. Lucroy joked at one point during the season that he was the closer off the bench for the closers in the bullpen. Back to the bat, Lucroy is having by far the best Spring Training of his career. Coming into today, Lucroy is batting .571 (12-of-21) and slugging .857 by way of three doubles and a home run. He’s also recorded his first Cactus League stolen base. It’s been related by the beat writers that Lucroy has really taken well to the instruction from first year Brewers hitting coach Johnny Narron. If the results in the regular season and over the course of the long summer reflect the improvements he’s made so far, it’ll be a banner year for third year big-leaguer at the plate. If there is any knock on the way Lucroy has performed to this point in his career, it’s in the fact that he is only the starting catcher 80% of the time. He might get more days off than that of course with day games following night games, or the occasional double-header, but he’s only the #1 option for four of the five starting pitchers in Milwaukee’s rotation. That’s not entirely Lucroy’s fault, of course, but the face remains that he and left-handed starter Randy Wolf have been unable to get on the same page. Wolf likes to pitch a game a certain way. He has a very specific game plan and knows what he wants to throw in any situation. Lucroy hasn’t gotten it yet. He needs to work harder to be able to catch Wolf and not force manager Ron Roenicke into having to catch Kottaras (or more accurately “not Lucroy”) against tough left-handed pitchers. Lucroy and Wolf have been paired together this spring and it seems to be working well enough so far. Having said all that, every catcher not named Jason Kendall needs some days off and catching Kottaras every fifth day all the time at least helps keeps Lucroy fresher. As for being on the club on Opening Day, things are looking good for Lucroy there as well. Getting the start on the mound on Opening Day will likely be Yovani Gallardo, one of the four that Lucroy catches. 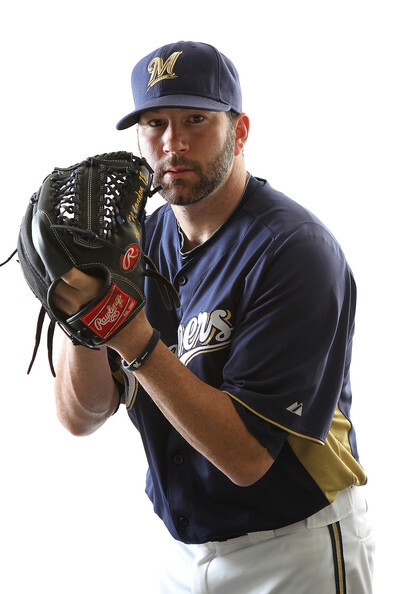 What all that means is that when Miller Park announcer Rob Edwards is rattling off the members of the Milwaukee Brewers prior to first pitch 20 days from now, it’ll be Lucroy’s name he calls out in the batting order as “in the bullpen” while he’s warming up Gallardo. It may be a small thing, but making your first Opening Day roster means something to a ballplayer. But there’s something special about Opening Day. 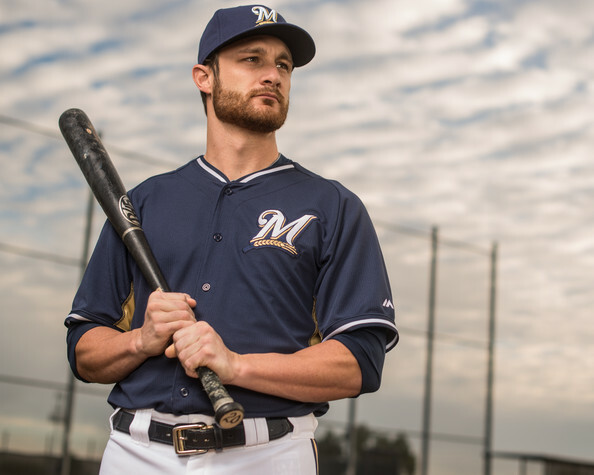 For Jonathan Lucroy, it doesn’t signifying anything that we don’t already know. He’s the starting catcher and will be so for the majority of 2012. But you just never know what it might mean to the individual. Hopefully in 20 days, we’ll find out what it means for Lucroy together.